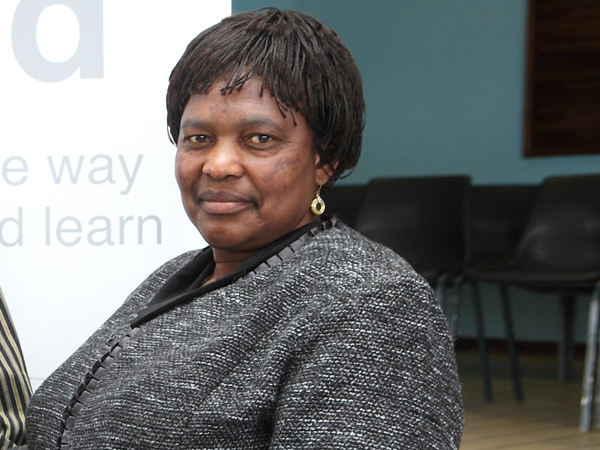 Our teacher of the week, Sebenzile Mathe-Mohlala, is more than just a teacher. She is a mother to the 688 children at her school, some of whom even refer to her as Mama. She is also the September winner of YOU’s Teachers for Change competition. I am the principal of Ekwaluseni Catholic Intermediate School in Vrede, Free State. After completing Grade 12, I managed to secure a bursary to study at the Madadeni College of Education in Newcastle. I want to encourage learners to strive for a better life through education. Teach learners to have respect for others. That is the reason why our school excels. Be willing to help where it’s needed most, even if that means volunteering your time to improve your learners’ fluency in English. Remember that you are never off duty! Give 3 tips for new teachers in any subject or grade. Teaching is an act of love. Always keep that in mind. Teach as though you are worshipping God with what you do. Be patient at all times. What is your favourite equipment/book to use in the class room? I am excited about the new books worth R20 000 our school received from Oxford University Press in the Teachers for Change competition. Our library doesn’t have many books so the books received from Oxford will improve our library. I’m motivated by the innocent look in the eyes of the children waiting to be directed through life.